Part of my holiday weekend has consisted of enjoying an action movie marathon with our oldest daughter, who helped round up a number of relatively recent titles she thought I'd enjoy. I had a good time watching all of them; they were uniformly well made, with good casts and visual appeal including extensive location filming. 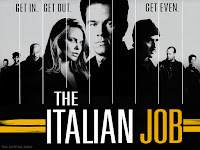 ...THE ITALIAN JOB (2003) is a loose remake of a 1969 Michael Caine film. Charlie Croker (Mark Wahlberg, CONTRABAND) and his gang of thieves (including Donald Sutherland and Jason Statham) are betrayed by one of their own, Steve (Edward Norton), after a huge gold heist. Charlie and company plot to re-steal the money from Steve, aided by safecracker Stella (Charlize Theron), whose father (Sutherland) was murdered by Steve. As a European-based heist film, it naturally has some echoes of the classic RIFIFI (1955) but is much lighter in tone, with gorgeous photography of Venice and L.A. It's one of those odd movies when you suddenly realize you're rooting for thieves to be successful! The film is bookended by entertaining set pieces involving a safe and a truck falling great distances. 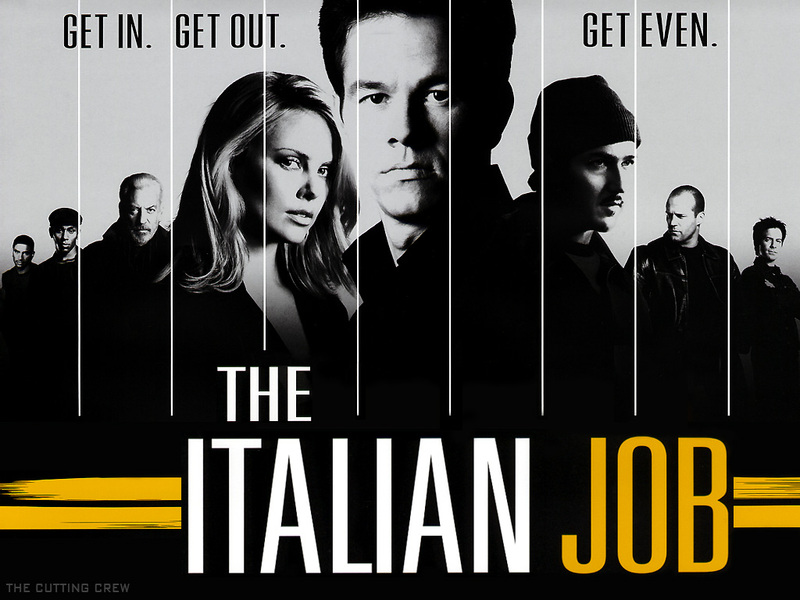 THE ITALIAN JOB was directed by F. Gary Gray and filmed by Wally Pfister. It runs 111 minutes. Parental Advisory: THE ITALIAN JOB is rated PG-13 for violence and language. It's out on DVD and can be streamed via Amazon. The trailer is at IMDb. 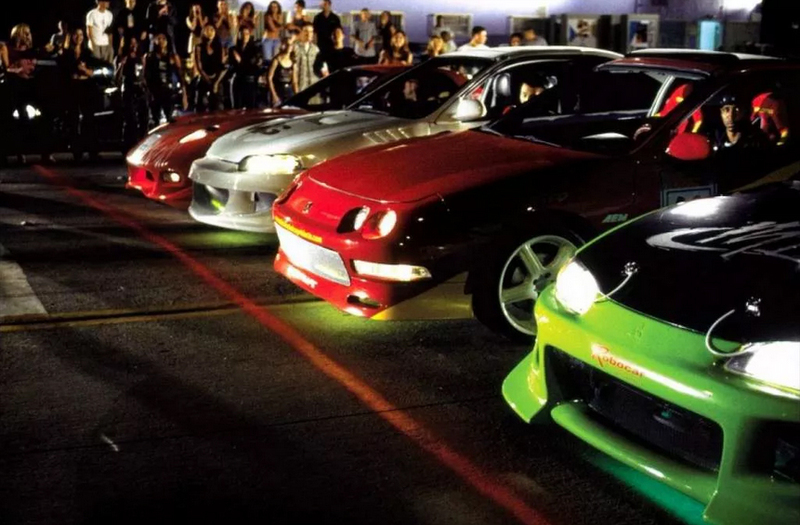 ...THE FAST AND THE FURIOUS (2001) is the beginning of the long-running franchise, which is currently filming No. 8 in the series. Undercover cop Brian O'Conner (Paul Walker, EIGHT BELOW) works to infiltrate the L.A. street racing scene, looking for suspects in a string of truck hijackings. He becomes friends with ex-con Dominic Toretto (Vin Diesel) and falls for Dom's sister Mia (Jordana Brewster). The film ends with what amounts to "to be continued..." and I'll be watching the next one in the series. Given the sad real-life event of 2013, there is uncomfortable irony in Walker's pre-movie PSA warning of the dangers of street racing. Taken on its own terms, though, it's an engaging film which in some respects is different from movies I typically watch and in other ways fits right in with the older cop movies I enjoy. The evocative filming of the Greater L.A. area is a real plus; information on the movie's locations may be found here and here. I photographed the market seen in the film on the TCM Locations Tour in 2014. 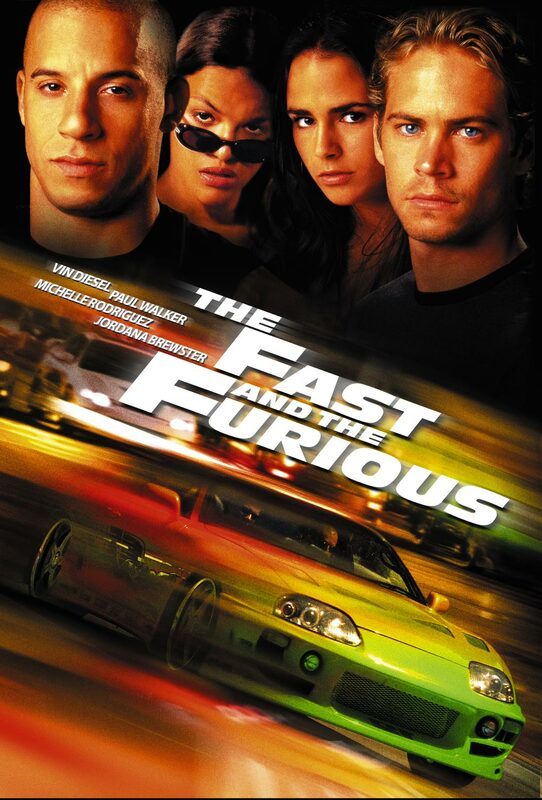 THE FAST AND THE FURIOUS was directed by Rob Cohen and filmed by Ericson Core. It runs 106 minutes. Parental Advisory: THE FAST AND THE FURIOUS is rated PG-13 for violence, language, and a love scene. THE FAST AND THE FURIOUS is available on DVD and Blu-ray. It can be streamed on Amazon. The trailer is at IMDb. ...THE BOURNE IDENTITY (2002), based on a novel by Robert Ludlum, is the start of another franchise, which continues with the new JASON BOURNE (2016), due out later this month. As the film begins, Jason Bourne (Matt Damon) is fished out of the ocean by the crew of a decrepit fishing vessel. He has no memory, but once on land he realizes that he has some scary good skills, starting with effortlessly fighting off multiple cops. In fact, when things hit the fan it turns out he's a babyfaced killing machine. He also discovers he has a safe deposit box filled with multiple passports under a variety of names, cash in multiple currencies, and a gun. 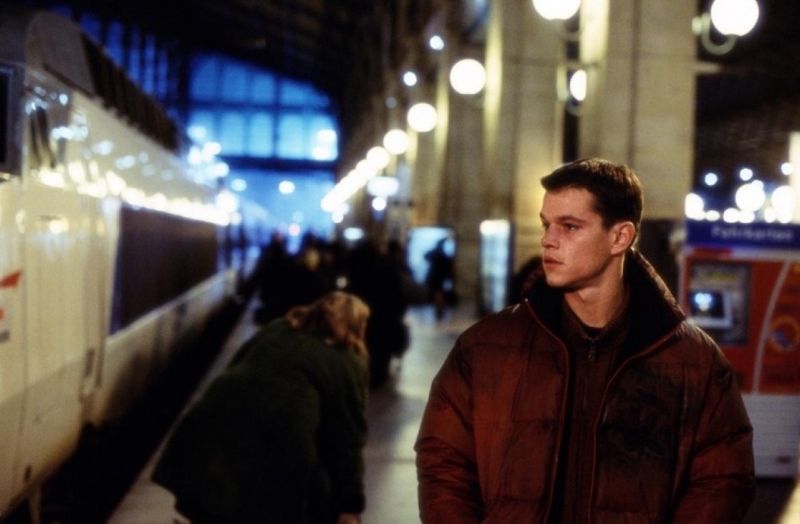 Bourne and Marie (Franka Potente), who's befriended him, are soon being chased all over Europe by CIA hitmen, determined to kill them, despite Bourne being one of their own. Chris Cooper and Julia Stiles costar as CIA agents. It was quite an engrossing film, with excellent European locations, and I intend to continue watching the series. 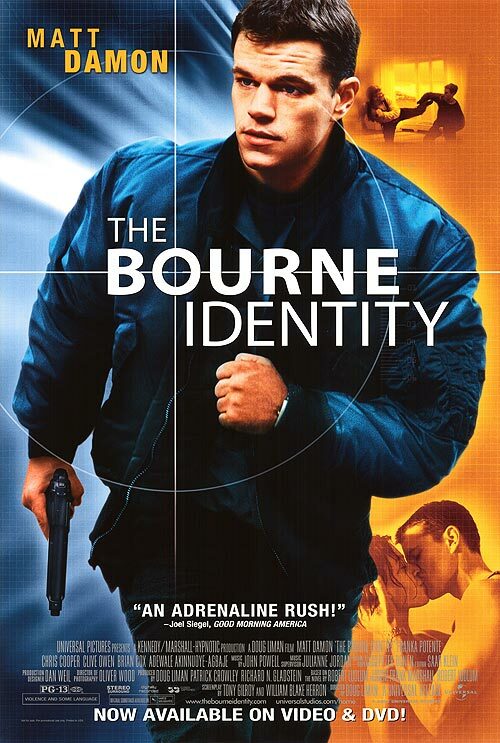 THE BOURNE IDENTITY was directed by Doug Liman (MR. AND MRS. SMITH). It was filmed by Oliver Wood. The running time is 119 minutes. Parental Advisory: THE BOURNE IDENTITY is rated PG-13 for violence and language. THE BOURNE IDENTITY is out on DVD, Blu-ray, and streams on Amazon. The trailer is at IMDb. Update: Here's a joint review of THE BOURNE SUPREMACY (2004) and THE BOURNE ULTIMATUM (2007). 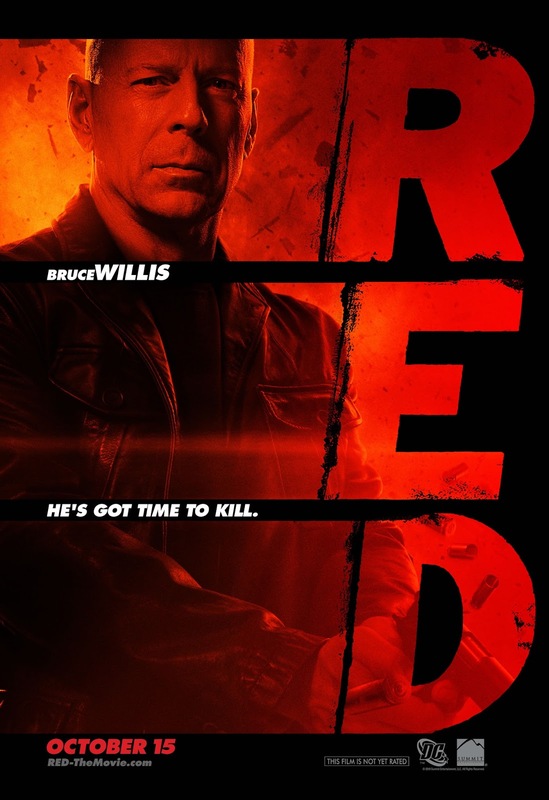 ...The final film of the day, RED (2010), is about Frank (Bruce Willis), a retired (make that Retired Extremely Dangerous) CIA agent who wakes up one night to discover government agents in his house trying to take him out. (I sense a theme in some of the day's viewing...) He also realizes that the government is going to try to kill Sarah (Mary Louise Parker), the pension case worker he's never met but has been flirting with on the phone. 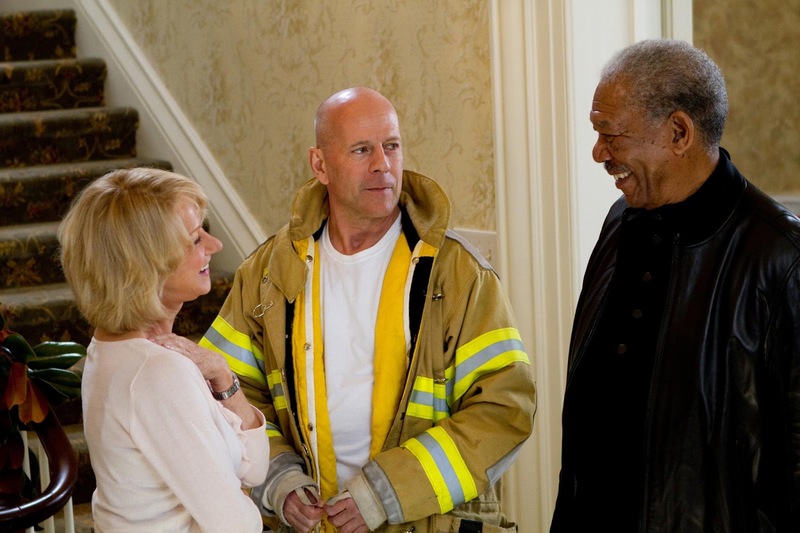 Frank nabs Sarah to protect her and then rounds up the "old gang," including Helen Mirren, John Malkovich, and Morgan Freeman, not to mention a former Soviet agent (Brian Cox, who played a CIA agent in THE BOURNE IDENTITY). They go up against a current CIA agent (Karl Urban) and a weapons dealer (Richard Dreyfuss), uncovering a plot which involves the current Vice President (Julian McMahon). A sequel, RED 2 (2013), added Anthony Hopkins and Catherine Zeta-Jones to the cast. Update: Here is a review of RED 2. RED was directed by Robert Schwentke and filmed by Florian Ballhaus. It runs 111 minutes. Interesting to note that the action sequence in Frank's home was reminiscent of MR. AND MRS. SMITH, directed by Doug Liman of THE BOURNE IDENTITY. 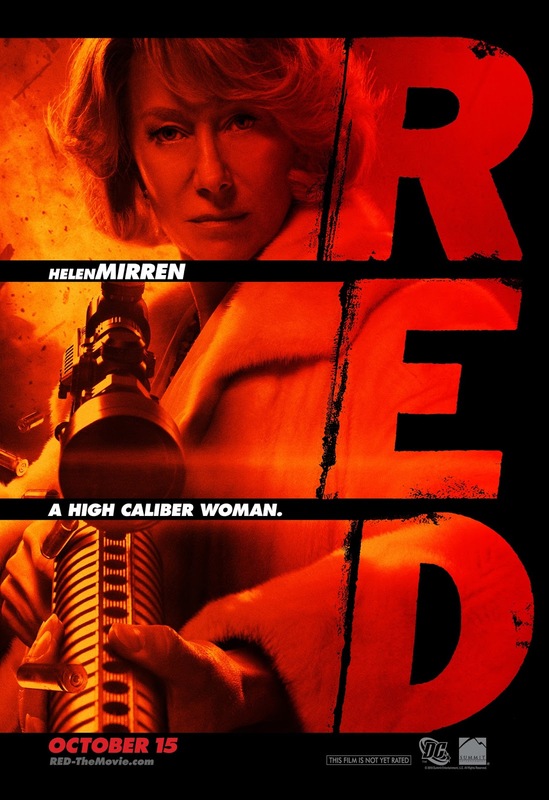 Parental Advisory: Like the other movies seen today, RED is rated PG-13, for all the same reasons. RED is available on DVD, Blu-ray, and Amazon video. Once again, the trailer may be found at IMDb. As regular readers know, I watch relatively few movies of recent vintage and I don't tend to watch a lot of action films, so it was fun to have a very different kind of movie day. As I tend to like "series" films, three of the four films above having sequels appeals to me, and I'll be checking out the films which followed the originals. All of the films above are recommended as enjoyable entertainment. My daughter is currently enjoying a Fast and Furious marathon with some friends. It will be her introduction to the series and she'll let me know how she thinks I will fare with the goings on. She's usually bang on about these things. I DO like the Marvel movies. I should have listened to her about "The Dark Knight". LOL I've been told not to watch THE DARK KNIGHT by my kids. Did she say that too? I hope she (and you) will enjoy the FAST AND FURIOUS movies. I look forward to more. It sounds like the most recent films in the series have escalated to a new level of fun, adding people like Dwayne "The Rock" Johnson and Helen Mirren to the casts. All good stuff, love to see these types of movies at your blog! '69 ITALIAN JOB is loads of fun, have you seen it? I like the F&F movies a lot, pretty consistent franchise that has a soap feel and builds up a likable diverse family. I like both Reds, like the Expendables, it's great to see "older" actors doing fun action. Love getting your feedback, Kristina, especially as you watch so many more action movies! I haven't seen the '69 ITALIAN JOB yet but it came bundled with the remake so I've got it on hand. Glad to get your opinion of the RED sequel and the F&F series, I'll be watching those for sure. Wondered about the EXPENDABLES series. Thanks!